Dr. Jagdish Mukhi, Lieutenant Governor, Andaman and Nicobar Islands, commissioned IN LCU L52 into the Indian Navy today at Port Blair. 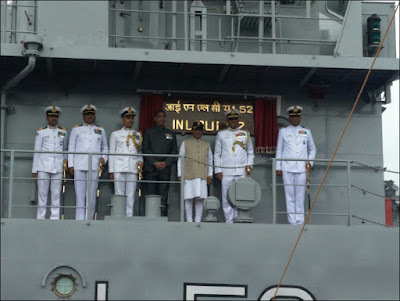 IN LCU L52 is the second Landing Craft Utility (LCU) Mk-IV class to be inducted into the Indian Navy. The ship has been indigenously designed and built by Garden Reach Shipbuilders and Engineers, Kolkata. 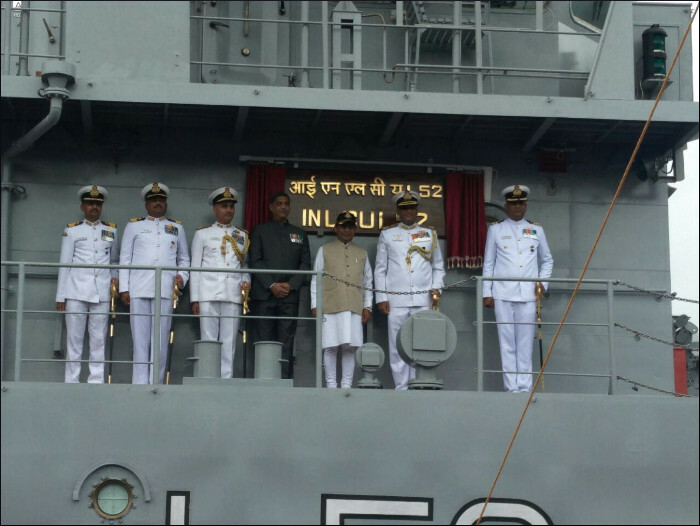 The commissioning of L-52 is yet another manifestation of the potential of the country’s indigenous design and ship building capability. LCU MK-IV ship is an amphibious ship with the primary role to transport and deploy Main Battle Tanks, Armoured Vehicles, troops and equipment from ship to shore. These ships would be based in the Andaman and Nicobar Command and can be deployed for multirole activities like beaching operations, search and rescue, disaster relief operations, supply and replenishment and evacuation from distant islands. 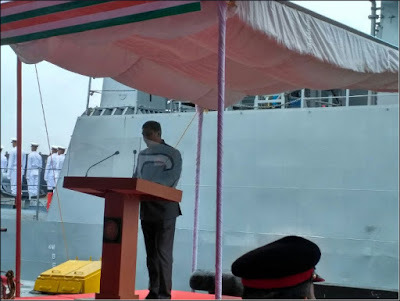 The ship, commanded by Commander Kaushik Chatterjee, has a complement of 05 officers, 46 sailors and is capable of carrying 160 troops in addition. The ship, displacing 830 Tons, is capable of transporting various kinds of combat equipment such as Main Battle Tanks Arjun, T72 and other vehicles. 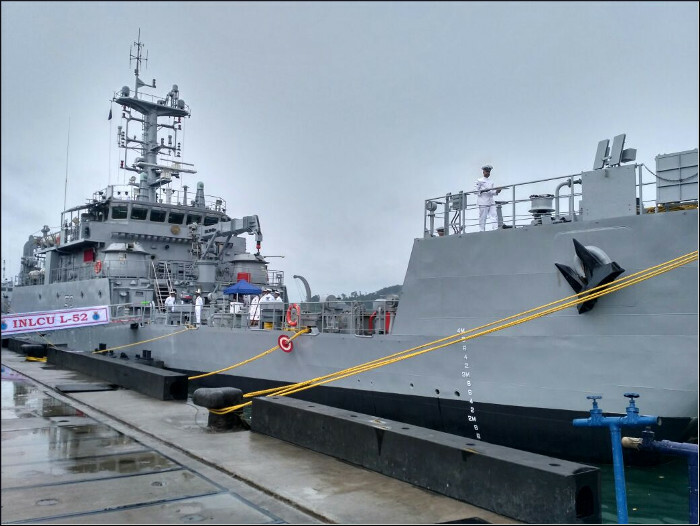 The ship is fitted with state-of-the-art equipment and advanced systems like Integrated Bridge System (IBS) and Integrated Platform Management System (IPMS). The remaining six ships of the same class are in advanced stages of construction at M/S GRSE, Kolkata and are scheduled to be inducted in the next two years. 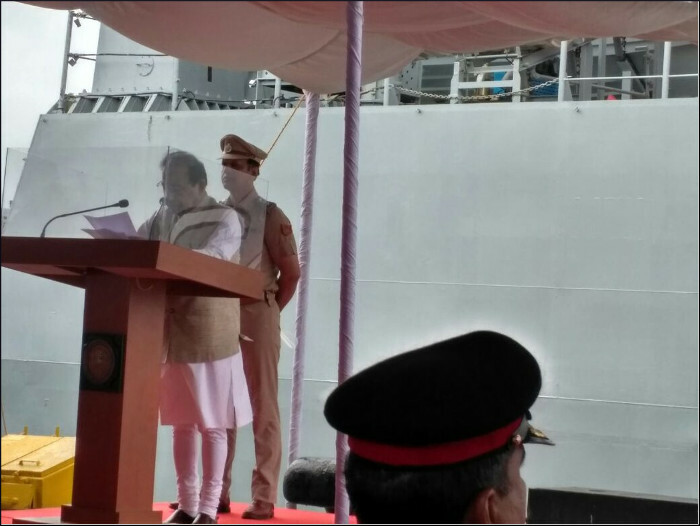 The induction of these ships will contribute to the nation’s maritime security needs and is in consonance with the Hon’ble Prime Minister’s drive for ‘Make in India’.